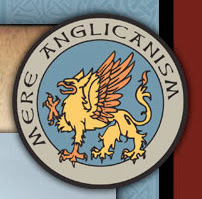 Mere Anglicanism's vision is for a reformed, renewed orthodox Anglicanism within North America. We recognize that to achieve a restored and faithful Anglicanism, many battles must be fought, many lessons learned. Seminaries must be re-made with faithful, godly deans and teachers. Orthodox Anglicans must be re-connected with one another, and learn to work together strategically and tactically. Dioceses and parishes must develop the right conditions for re-growing believing, discipled Christians - including choosing the leadership of orthodox bishops and priests. Even our publications and media, magazines, web sites, journals, curricula, devotional guides, and more - must communicate truth with clarity, beauty, and a passionate gospel commitment.